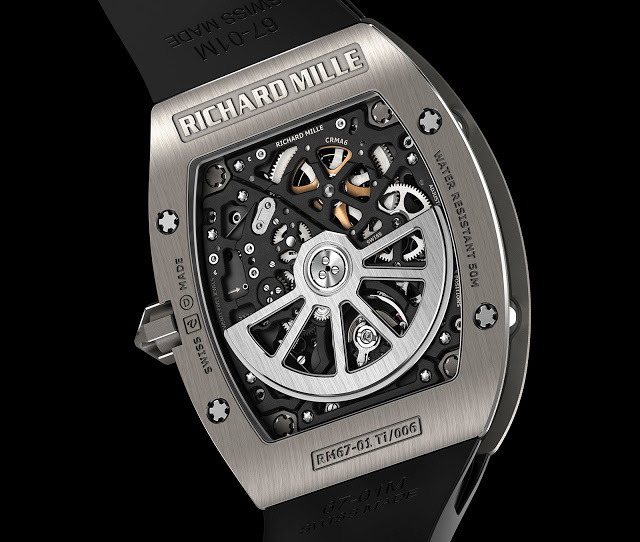 Before it's official launch at SIHH 2016, Richard Mille reveals details about the new model RM 67-01 Automatic Extra Flat watch. While being basically a thinner version of the iconic RM 010 model, the new RM 67-01 feature the same appeal and performance. At the first look, the cult form of the original RM 010 watch has been converted in to a sleeker and more comfortable character. There are many interesting details about the watch. The Arabic hour numerals are made of solid metal and mounted on two titanium rails that encircle the dial and are attached directly to the movement. Each numeral is filled with luminous material. The date display which is outlined with a luminous aperture at 5 o’clock, located in place of an Arabic numeral. 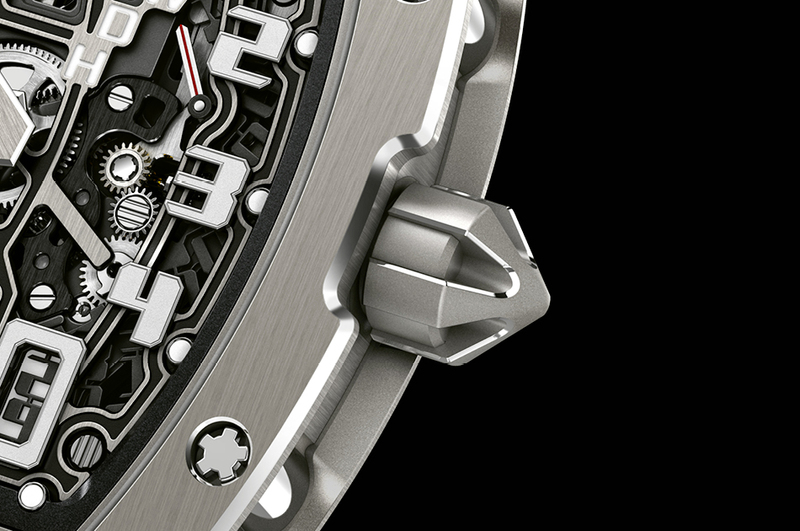 A brand new automatic movement (Caliber CRMA6), was created to fit inside the new case which is crafted in titanium and measures 38.7 mm x 47.52 mm x 7.75 mm. 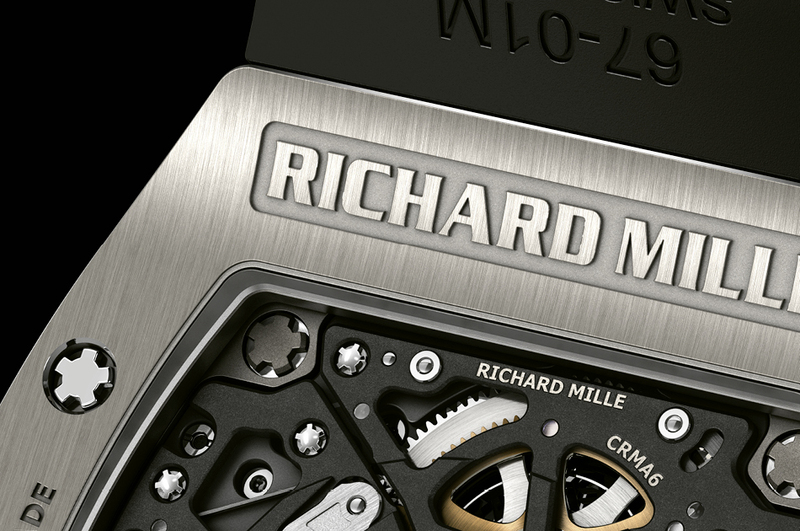 The movement which is only 3.6 mm thick, was designed in-house. Crafted in Grade 5 titanium, the mainplate and bridges are finished with a combination of gray and black electroplasma treatment. The oscillating rotor is made of platinum. 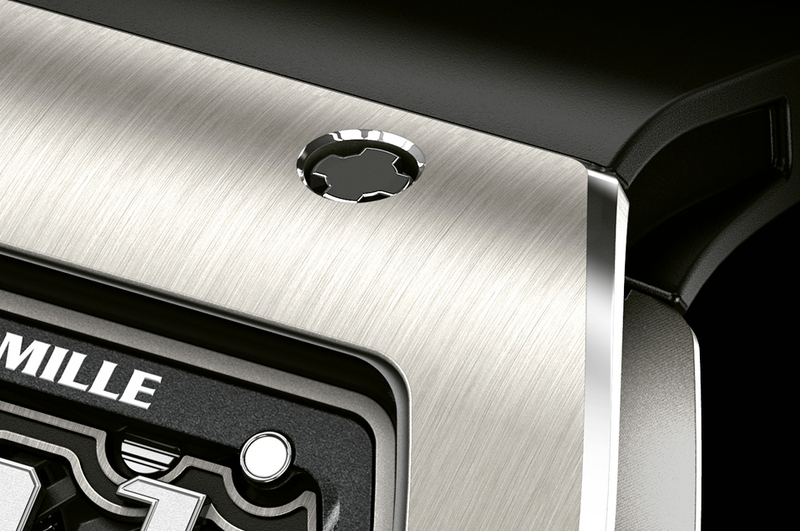 The uni-directional winding system with ceramic ball bearings allows the barrel to be wound efficiently while keeping the compact size of the super flat movement. Custom-made torque screws are used within the movement, which ensure correct tension according to their related application. 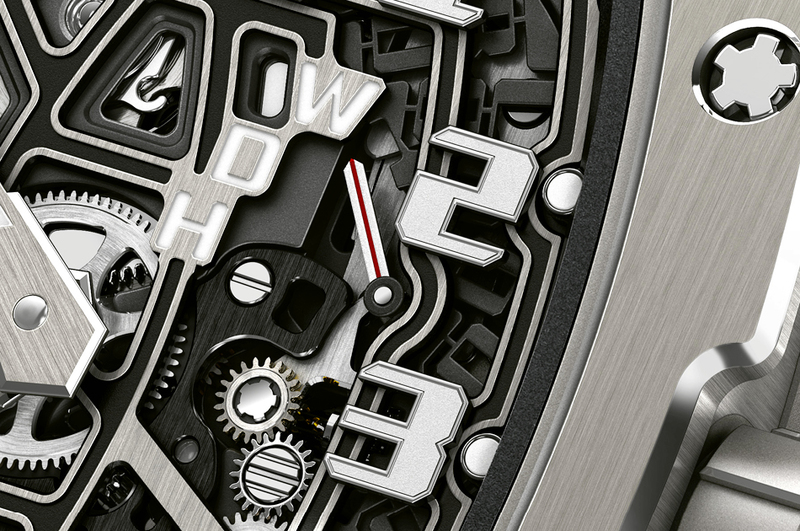 The 25 jewels movement runs at 4 Hz and has a 50-hour power reserve when fully wound. The shock protection is increased via the free-sprung balance with variable inertia. The regulator index has been cancelled, making more accurate and repeatable adjustments available with the use of four micro weights mounted directly on the balance. 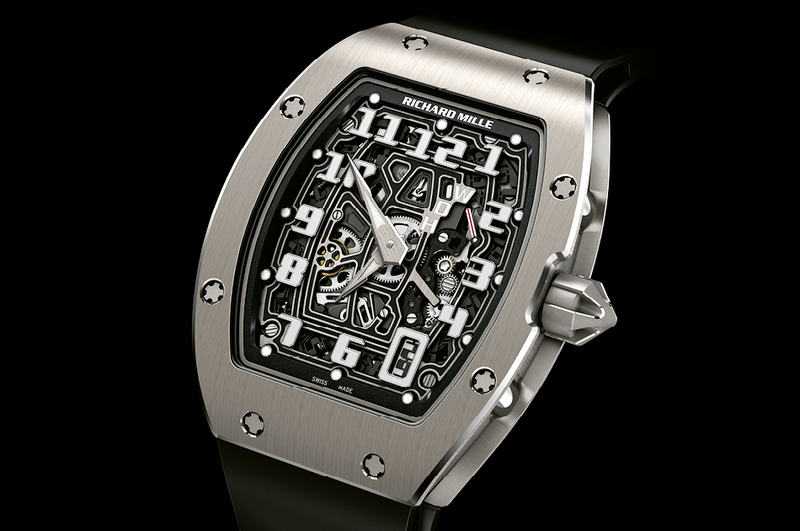 Prices for the Richard Mille RM 67-01 Extra-Flat will be announced at SIHH 2016.